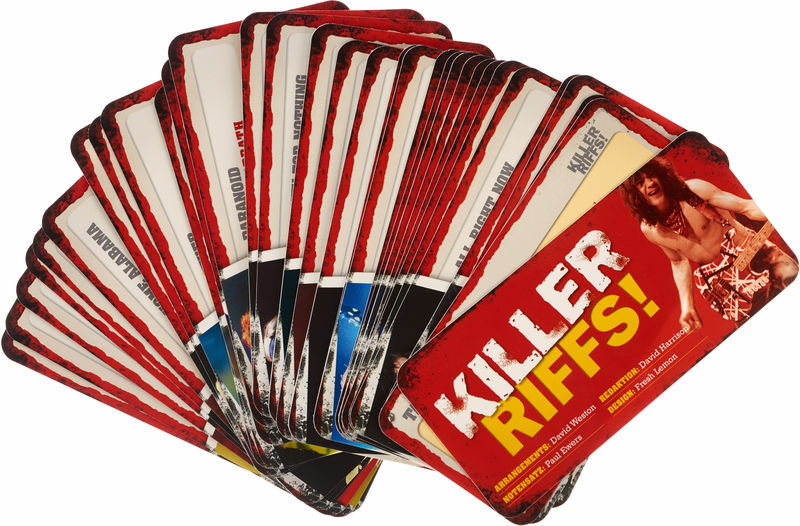 Bosworth Flashcards Killer Riffs German: these fantastic cards present all the essential guitar riffs for acoustic, rock and pop classics. 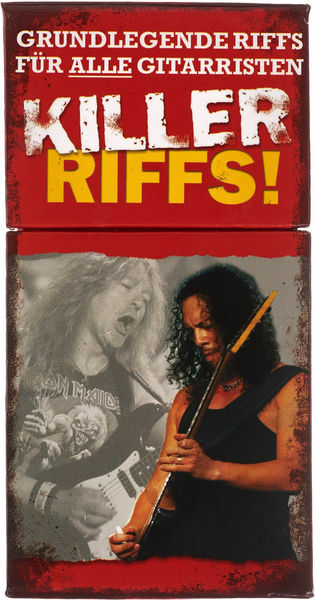 Riffs are featured on easy-to-read cards with full-colour photographs and clear diagrams. 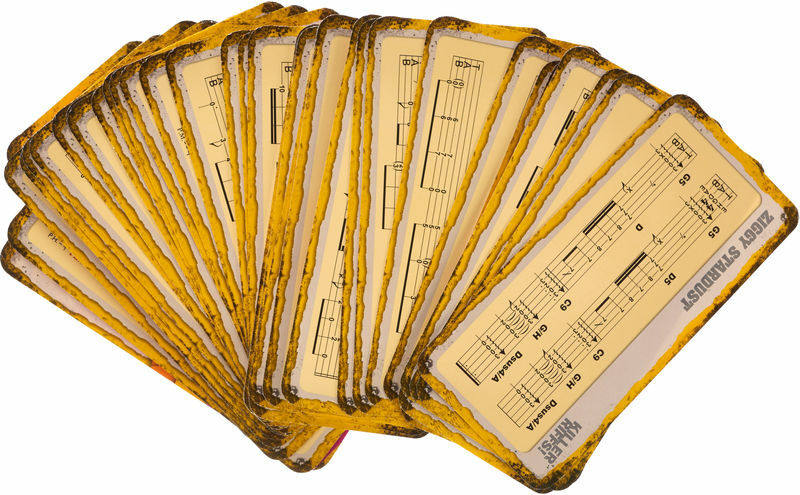 Each card includes full notation in clear TAB format, with images and inside info for each riff on the flip-side. 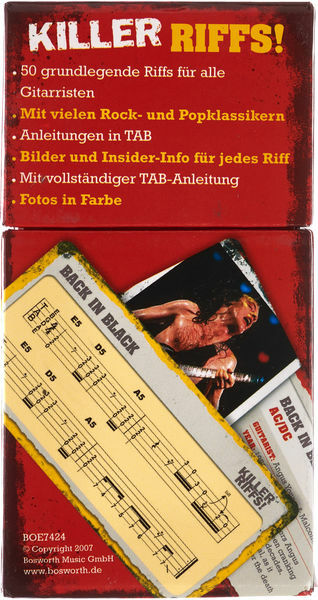 Ideal for all guitarists, these flash cards are a brilliant reference for on the spot riffage. German language edition.